Предлагаем к чтению аннотацию, описание, краткое содержание или предисловие (зависит от того, что написал сам автор книги «Home Fire»). Если вы не нашли необходимую информацию о книге — напишите в комментариях, мы постараемся отыскать её. Isma is free. After years of watching out for her younger siblings in the wake of their mother’s death, she’s accepted an invitation from a mentor in America that allows her to resume a dream long deferred. But she can’t stop worrying about Aneeka, her beautiful, headstrong sister back in London, or their brother, Parvaiz, who’s disappeared in pursuit of his own dream, to prove himself to the dark legacy of the jihadist father he never knew. When he resurfaces half a globe away, Isma’s worst fears are confirmed. Then Eamonn enters the sisters’ lives. Son of a powerful political figure, he has his own birthright to live up to — or defy. Is he to be a chance at love? The means of Parvaiz’s salvation? Suddenly, two families’ fates are inextricably, devastatingly entwined, in this searing novel that asks: What sacrifices will we make in the name of love? Кто написал Home Fire? Узнайте фамилию, как зовут автора книги и список всех его произведений по сериям. Ниже представлен текст книги, разбитый по страницам. Система автоматического сохранения места последней прочитанной страницы, позволяет с удобством читать онлайн бесплатно книгу «Home Fire», без необходимости каждый раз заново искать на чём Вы остановились. Не бойтесь закрыть страницу, как только Вы зайдёте на неё снова — увидите то же место, на котором закончили чтение. The ones we love… are enemies of the state. ISMA WAS GOING to miss her flight. The ticket wouldn’t be refunded, because the airline took no responsibility for passengers who arrived at the airport three hours ahead of the departure time and were escorted to an interrogation room. She had expected the interrogation, but not the hours of waiting that would precede it, nor that it would feel so humiliating to have the contents of her suitcase inspected. She’d made sure not to pack anything that would invite comment or questions — no Quran, no family pictures, no books on her area of academic interest — but even so, the officer took hold of every item of Isma’s clothing and ran it between her thumb and fingers, not so much searching for hidden pockets as judging the quality of the material. Finally she reached for the designer-label down jacket Isma had folded over a chair back when she entered, and held it up, one hand pinching each shoulder. “This isn’t yours,” she said, and Isma was sure she didn’t mean because it’s at least a size too large but rather it’s too nice for someone like you. “I used to work at a dry-cleaning shop. The woman who brought this in said she didn’t want it when we couldn’t get rid of the stain.” She pointed to the grease mark on the pocket. “No. I don’t know. Sorry, do you mean her place or the place of my own? She lives in Northampton — that’s close to Amherst. I’ll look all around the area for whatever suits me best. So it might be Amherst, but it might not. There are some real estate listings on my phone. Which you have.” She stopped herself. The official was doing that thing that she’d encountered before in security personnel — staying quiet when you answered their question in a straightforward manner, which made you think you had to say more. And the more you said, the more guilty you sounded. The woman dropped the jacket into the jumble of clothes and shoes and told Isma to wait. That had been a while ago. The plane would be boarding now. Isma looked over at the suitcase. She’d repacked when the woman left the room and spent the time since worrying if doing that without permission constituted an offense. Should she empty the clothes out into a haphazard pile, or would that make things even worse? She stood up, unzipped the suitcase, and flipped it open so its contents were visible. A man entered the office, carrying Isma’s passport, laptop, and phone. She allowed herself to hope, but he sat down, gestured for her to do the same, and placed a voice recorder between them. “Do you consider yourself British?” the man said. “I’ve lived here all my life.” She meant there was no other country of which she could feel herself a part, but the words came out sounding evasive. You know, you don’t have to be so compliant about everything, Aneeka had said during the role-playing. Isma’s sister, not quite nineteen, with her law student brain, who knew everything about her rights and nothing about the fragility of her place in the world. For instance, if they ask you about the Queen, just say, “As an Asian I have to admire her color palette.” It’s important to show at least a tiny bit of contempt for the whole process. Instead, Isma had responded, I greatly admire Her Majesty’s commitment to her role. But there had been comfort in hearing her sister’s alternative answers in her head, her Ha! of triumph when the official asked a question that she’d anticipated and Isma had dismissed, such as the Great British Bake Off one. Well, if they didn’t let her board this plane — or any one after this — she would go home to Aneeka, which is what half Isma’s heart knew it should do in any case. How much of Aneeka’s heart wanted that was a hard question to answer — she’d been so adamant that Isma not change her plans for America, and whether this was selflessness or a wish to be left alone was something even Aneeka herself didn’t seem to know. A tiny flicker in Isma’s brain signaled a thought about Parvaiz that was trying to surface, before it was submerged by the strength of her refusal ever to think about him again. Eventually, the door opened and the woman official walked in. Perhaps she would be the one to ask the family questions — the ones most difficult to answer, the most fraught when she’d prepared with her sister. “Sorry about that,” the woman said, unconvincingly. “Just had to wait for America to wake up and confirm some details about your student visa. All checked out. Here.” She handed a stiff rectangle of paper to Isma with an air of magnanimity. It was the boarding pass for the plane she’d already missed. Представляем Вашему вниманию похожие книги на «Home Fire» списком для выбора. Мы отобрали схожую по названию и смыслу литературу в надежде предоставить читателям больше вариантов отыскать новые, интересные, ещё не прочитанные произведения. 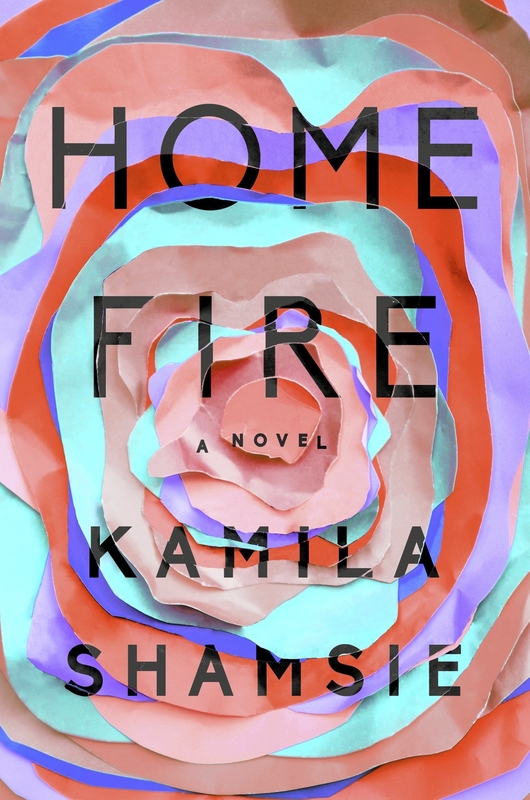 Обсуждение, отзывы о книге «Home Fire» и просто собственные мнения читателей. Оставьте ваши комментарии, напишите, что Вы думаете о произведении, его смысле или главных героях. Укажите что конкретно понравилось, а что нет, и почему Вы так считаете.